The latest year was rich for InstaForex in international awards as the company notched up five trophies from well-known business periodicals. One of the recent achievements is winning the nomination as The Best Social Trading Broker according to UK Forex Awards. UK Forex Awards is one of the most prestigious ceremonies of awarding brokerage companies engaged in the forex industry. The latest grand event took place in Holborn in the West End of London. Among nominees were the best brokers, which give priority to advanced technologies, carry out comprehensive research of financial markets and trading instruments, and provide educational programs for forex trading. 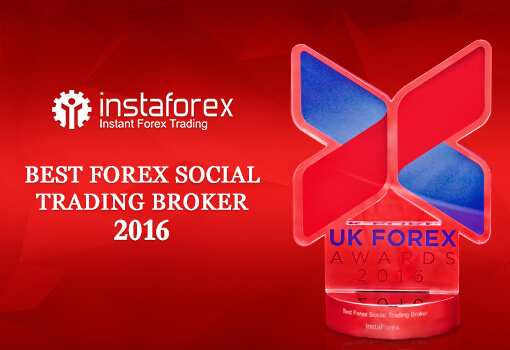 InstaForex found itself on the winners list by UK Forex Awards for the fourth time and was acknowledged to be the best broker in terms of social trading. InstaForex is deeply honored for the recognition by the UK community of investors and traders. This achievement proves that InstaForex is following the right track.